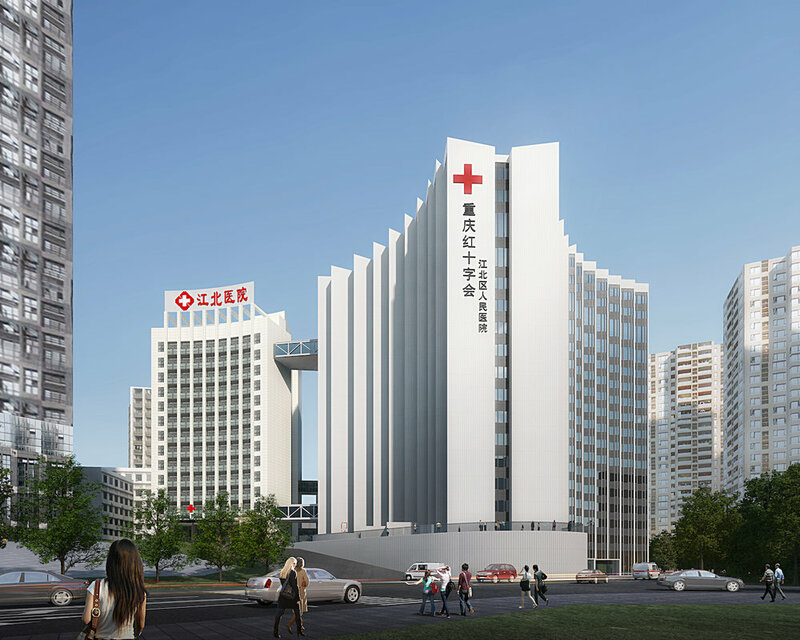 1.1 The Tic-Tac Grid formed by the cross order reserves the greatest adaptability for the integration of the hospital functions, greatly increased the effective use of internal space. 2.1 Externally, the humble return along the street gives the city a buffer and a soft interface. 2.2 Internally, together with existing buildings, a practical and practical courtyard is enclosed. The "L" line of integrated ducts connects the various functions of the hospital briefly.